Euan's research focused on understanding the mechanical behaviour of materials at the microscopic scale. His research used advanced materials characterisation and simulation tools, capable of capturing the effects of a material's microstructure on it's mechanical response, to develop physically-based, predictive modelling tools. Jonathan completed his MEng project in January 2018. His interest is in the precipitation kinetics of heat treated Nickel-based Superalloys, for jet engine application. 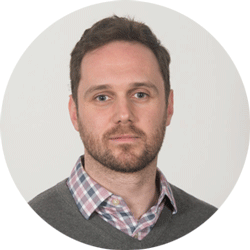 He joined the materials research group in 2017 and was working in partnership with Aubert & Duval.